Over the few last months, the Atom team has been working hard to improve the editor performance and deliver you an even greater experience. Today, I am going to shed some light on a few techniques we used to speed up the rendering process. Right after a new animation frame is dispatched, we ask TextEditorPresenter to compute a state object which contains all the necessary information to present a TextEditor instance to the user. 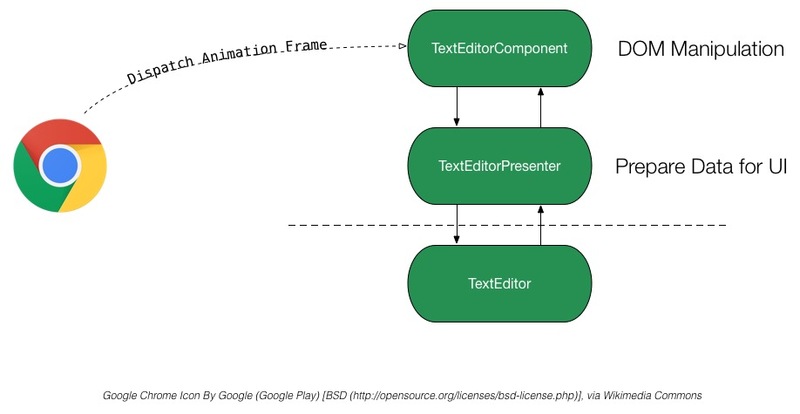 This, in turn, is used by TextEditorComponent (and its collaborators, such as LinesComponent) to construct and update DOM nodes. TextEditorPresenter acts as a facade, thereby hiding all the complexity of translating a TextEditor instance into an object that speaks the UI language. Everything from coordinates conversion to decorations’ layout is handled in the presenter. As we have changed the code, this abstraction has proven to be very valuable: it allowed us to have a better separation of concerns and to introduce several improvements with little or no changes in the DOM manipulation layer. Keep the DOM as small as possible by rendering only the visible lines. Use absolute coordinates for lines and apply a transform3d on the lines’ container to simulate scrolling. Although these techniques allowed us to deliver a smooth experience, they were not without some tradeoffs; indeed, they forced the GPU to deal with an almost empty texture which grew in size based on the buffer’s dimensions. Moreover, we had to overpaint some lines above and below the visible ones in order to prevent the entire screen to be repainted. Ultimately, the whole mechanism was taxing on the GPU and, as a side effect, we were not able to render more than ~750k lines. Group arbitrary amounts of lines into tiles. Put each tile into a separate GPU layer. Position every line with absolute coordinates within the corresponding tile. Simulate scrolling by translating each individual tile via a transform3d. Less pressure on the GPU. Reduced paint times when new tiles appear on screen. Reduced cleanup times by deleting entire tile nodes when they move off-screen instead of each line that’s no longer visible. You can have a glance at the code here. We’re also working on a tiled implementation of the gutter which will bring even more speed to Atom. You can follow the progress in the related pull request, and we’d to have your feedback!